The crappy job you can see on the CHMSL. 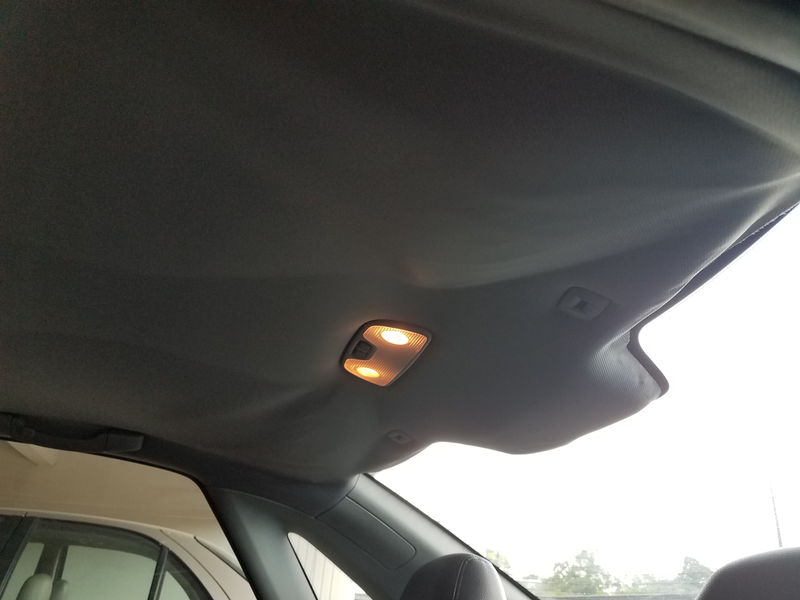 Ultimate failure to keep the headliner up. Should I just be looking for an automotive upholstery shop? How much should I expect to spend? I have a sunroof which I assume makes things more complicated? Is this sort of problem usually dealt with by repairing the existing headliner, or does the whole thing get replaced? If it gets replaced, will it get replaced with a fabric that doesn’t quite match and bugs the hell out of me? Thanks for the help. I’ve done some googling, but I’m not finding what I want.